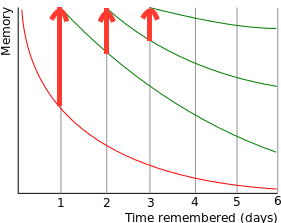 Humans forget newly learned material in a matter of days (red curve) unless reviewed from time to time (green curves). Humans more easily remember items when they are studied a few times spaced out over a long time span than when studied repeatedly in a short period of time. Spaced repetition is a learning technique in which items are reviewed in increasing intervals of time to make most use of the spacing effect so that they can be remembered effectively and efficiently. It is especially well suited for memorizing huge amounts of material and keeping them indefinitely in memory. No installation. No synchronization between devices. Directly access your cards with a simple, modern web application on an Android, iPhone, iPad, Mac, or PC. Create your own decks to memorize anything from foreign languages to maps and chemical symbols. 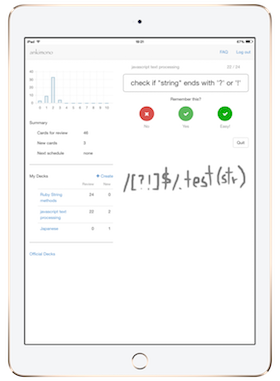 Or simply select a deck from the official deck list, which includes decks for English vocabulary, Japanese Kanji, programming language APIs, and more. The key to memorizing is repetition. Use your smartphone to review your cards in your spare time, anywhere, any time. With Spaced Repetition, you spend time on those that need it, not on the ones you have memorized. 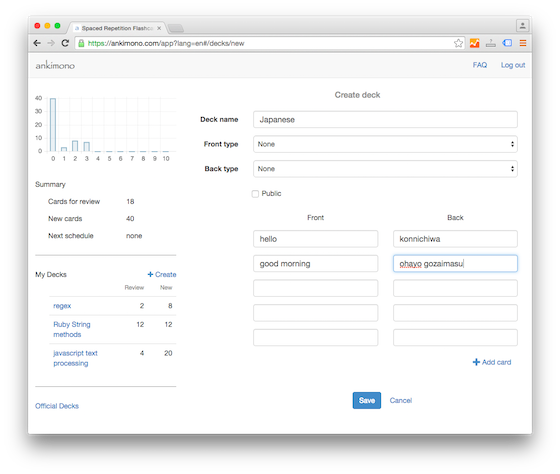 Spend the minimium time required to keep things memorized, super efficiently. 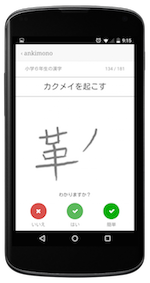 Handwrite your answers directly on screen to precisely test your memory and to help you memorize better. Keyboard input is also supported. 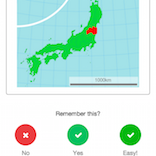 Add images to your cards to memorize maps, pictures, and drawings. Card content is interpreted in a lightweight markup language called Markdown, giving you the power to create cards with links, bold text, super/sub-script, etc., tailored to your needs. Creating cards may be tedious. If you have cards in another system or want to create cards with other software such as Excel, simply import them as a CSV file. Receive reminders when you have cards due for review. Set a notification time so you receive it when you want it, not when you don't. Prepare for your exams the day or night before by focusing on the cards you tend to forget, i.e. those with a low percentage of being correct. Copyright © 2014 - 2018 Lessizmo LLC.